Dr. Maytorena offers a variety of bariatric procedures such as the Gastric Sleeve, Gastric Bypass, Mini Gastric Bypass, Sleeve SADI and Revision Surgery. Bariatric surgery in Tijuana Mexico with Dr. Maytorena leading bariatric surgeon with over 6000 weight loss surgeries performed. Dr. Maytorena’s patients show outstanding results due to Dr. Maytorena’s experience and technique. Dr. Maytorena offer his services at Oasis of hope hospital, this facilities are among the best in the region, providing state of the art technology with professional, warm and friendly staff. Dr. Maytorena is among the leading bariatric surgeons in Mexico providing a variety of procedures such as Gastric Sleeve, Gastric Bypass, Mini Gastric Bypass, Sleeve SADI and Revision Surgery. One of the highlights of Dr. Maytorena is the fact that he is trained as a “Trauma Surgeon” offering his services for four years at the red cross in Tijuana Mexico, taking care of all kind of critical cases. 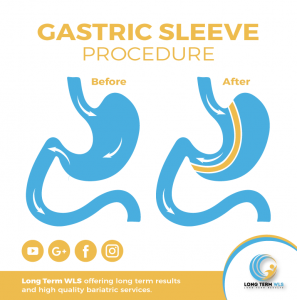 Sleeve gastrectomy is a restrictive bariatric surgery, the main objective of this procedures is to significantly reduce the capacity of the stomach (80% to 85%), which will lead to a significant reduction in amount of food consumed along with long-term weight control. Laparoscopic technique is a less invasive procedure where multiple and very small incisions are made in the abdominal wall to accommodate a small video camera and surgical instruments, allowing the surgeon to view the procedure on a separate video monitor. During this procedure, the surgeon creates a small, sleeve-shaped stomach. It is larger than the stomach pouch created during Roux-en-Y bypass-and is about the size of a banana. Gastric Sleeve Surgery it also helps to reduce and potentially solve a wide list of obesity-related health issues such diabetes 2, high blood pressure, fatty liver, sleep apnea, hypertension, etc. Significant weight loss through bariatric surgery may also pave the way for many other exciting opportunities for you, your friends and family, but most importantly: your health! 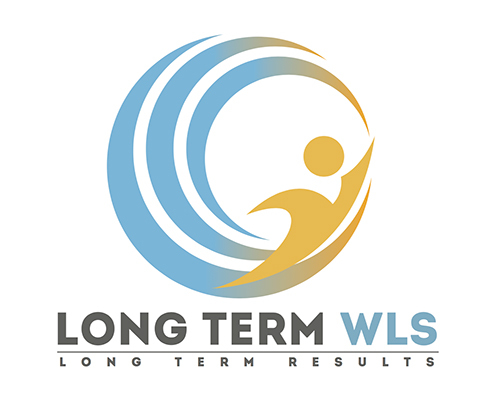 Long Term WLS specializes on bariatric procedures, with a professional and qualified team of doctors and bariatric surgeons, we provide outstanding and long-lasting weight loss results to our patients. How much does Gastric Sleeve Surgery cost in Tijuana Mexico? Gastric Sleeve surgery has become the most popular weight loss procedure performed in Tijuana, Mexico and all over the world since excellent results are achieved with a less invasive technique at a very affordable price for everyone. Gastric Sleeve surgery in other countries typically costs around $15,000 to $25,000. In most cases is a self-paid surgery, which means that most of the insurance companies do not cover the cost of the procedure. Because of the cost, weight loss surgery in the United States is mainly performed on middle to upper class patients. Most patients needing or considering weight loss surgery find hard to pay over $15,000 to lose weight. In Mexico, the cost of the gastric sleeve procedure is one-third compared to the prices offered in the United States and Canada. Gastric Sleeve Surgery cost in Tijuana Mexico range is from $4,500 to $10,000. In Tijuana Mexico, medical tourists can save thousands on weight loss surgery and get a high quality surgery outcome. In long Term WLS we are currently offering the incredible price of $3899 USD for gastric sleeve surgery package with Dr. Jorge Maytorena. Gastric Sleeve Surgery in Tijuana Mexico, a great option! Just across San Diego, California border you will find Tijuana Mexico; the ideal destination for bariatric surgery! Tijuana, Mexico has become one of the top destinations for medical tourism where patients struggling to afford or find the right treatment in U.S or Canada are able to get high-quality health care, warm treatment from medical staff, better insurance solutions, and short waiting lists for a very reasonable and affordable price. If you’re looking for an affordable and high quality health care package, Tijuana Mexico may be the best option for you! Tijuana has world-renowned physicians, experienced staff, and modern and well equipped hospitals. If you worry about your insurance, you need to know that US health plans are now covering services in Mexico. Medical Tourism in Tijuana, Mexico has significantly grown in the last decade, especially on the bariatric and plastic surgery field. Tijuana Mexico offers the best deals for bariatric surgery along with outstanding weight loss results. Thousands of patients travel to Tijuana each year to get their weight loss surgery, obtaining a satisfying experience that exceeds expectations about medical services in Mexico. How to choose the right bariatric surgeon? It’s very important to do a research about the Surgeon’s Credentials before making a decision, it’s also crucial to check their patient’s reviews and results. With Dr. Maytorena you will be able to find truthful and transparent information about his certifications, skills, customer service and more important, our patients weight loss results. In Long Term WLS you will find the best bariatric surgeons in Tijuana Mexico. We focus on giving the best medical experience to our patients; with bedside manners, warm and caring treat, we will help you to change your life! 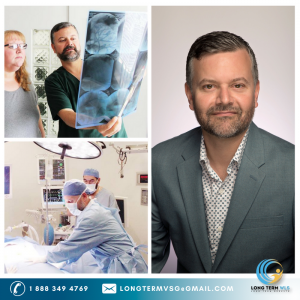 Dr. Jorge Maytorena is the leading weight loss surgeon of the Long Term WLS / VSG team, his experience and technique have placed him on the spotlight as one of the best bariatric surgeons in Tijuana Mexico. With over 10 years of experience, he has performed over 6,000 surgeries with high levels of satisfaction and outstanding results. Dr. Maytorena is also a trauma surgeon; he is prepared and certified to treat traumatic injuries along with any “emergency” situations. Trauma surgeons are trained to attend any surgical critical care; resuscitating, stabilizing, evaluating and managing the patient.